Any time your teen decides it’s time to do a bedroom makeover, you’ll want to use the experience to teach her decorating and budgeting skills. The time will come, because all children eventually become interested in having a more grown-up space instead of the little kid space they’ve grown up in. Allowing your teen to help with the entire procedure will give her a chance to both express herself, and also to learn responsibility. When you first sit down to discuss the room with your teen, you’re going to find that she wants more of everything. For instance she’ll want extra seating and sleeping space available for friends. Don’t panic, though. Providing her with what she wants doesn’t have to be expensive. By using a bit of ingenuity you can help her create a fantastic teen bedroom without breaking the bank. 1. The first thing you and your teen need to do is come up with some ideas. You may want to have her invite some of her friends to this session. Listen to what they have to say, and don’t just automatically say “no” to their ideas. This is a great time for you to share your thoughts, ideas, desires, and even concerns while both bonding and coming up with a great ideas for her new room that you’ll both love. 2. 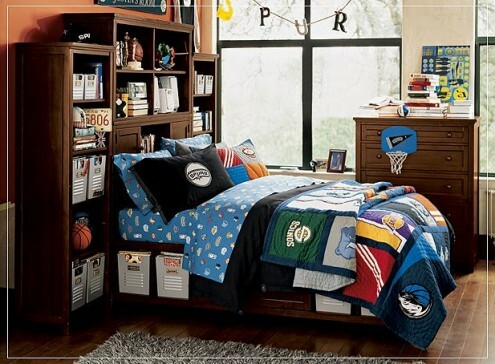 Determine the things your teen would like to have in her new room. Then try to set up different areas in the room for different functions. Maybe she’d like a vanity where she could do her hair and make-up. How about a study area, an exercise area, or a place to hang out with friends? 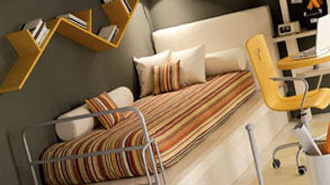 Make the room as cozy as you can and as multi-functional as possible in the amount of space available. 3. 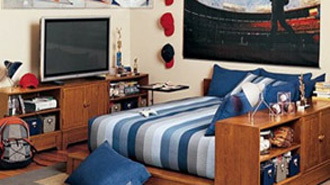 Your teen’s ideas for her new room will undoubtedly include a brand new set of bedroom furniture. You need to explain the money situation with her and help her understand that the responsibility of paying for a lot of the things she wants will be up to her. Talk about alternate, less costly ways to update her room, and make sure she participates in everything being done. * Suggest painting her furniture either a light color of using creative painting techniques such as sponge-painting or using stencils. 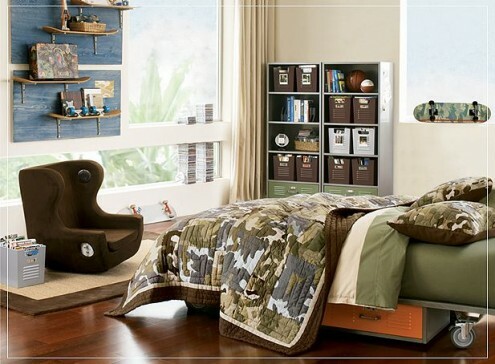 * Take the old storage pieces that were once used for her toys and books and stack them in a more adult way. Then paint the whole new piece one color and add decorative hardware or accent lighting. * You can update her bed by just buying a more grown-up style of headboard. * Find new furniture pieces to add to the teen décor by looking through items you are no longer using in the rest of the house, or take a rummage through Grandma’s attic. * Rearrange the furniture. Sometimes that’s all it takes to give the room a more teen look plus a little paint, new accessories, or funky lighting. * Go to garage sales, secondhand shops, and flea markets looking for real finds that will look cool but cost very little. 5. Emphasize organization and storage in your teen’s room. When deciding on the things to include in the room include shelves, a bed with storage underneath, ways to maximize the space in her closet, and rolling storage bins that can go under her bed. Get everything organized before starting to decorate. 6. Most teens will have strange (to you) ideas for painting their rooms. Is what he wants something you can tolerate in your house? After all, colors can affect moods, and teens already have plenty of those. Go with his preferences if you possibly can, because you can always paint over them later. You might also suggest only using his color on one wall. 7. 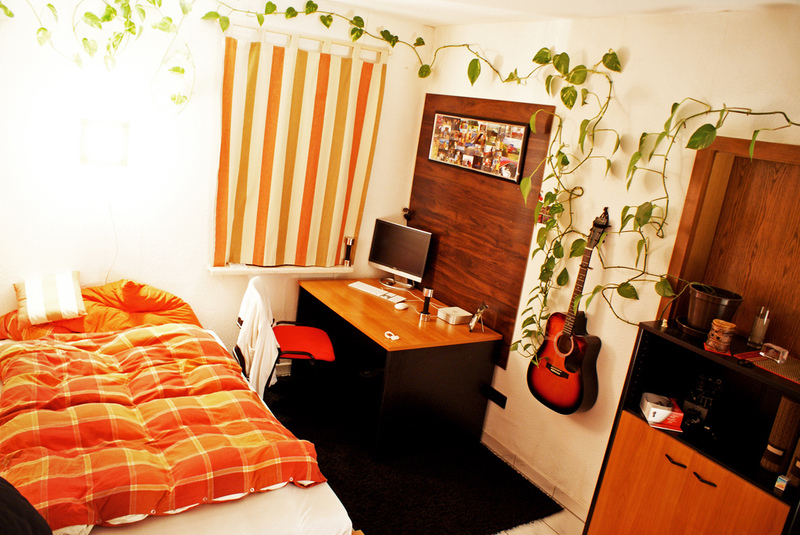 The best possible accessories for your teen’s room are things she herself has made. Include items like collages, bulletin boards, and hand-painted items. She will like having these items in evidence to show off her talents and abilities. Also prominently display things like trophies she has won, sports medals, or anything else that shows her accomplishments. 8. For a teen who loves posters, you’ll want to provide bulletin boards, cork strips, or other things that he can hang his posters from without putting tape on newly-painted walls. Another suggestion might be hanging a clothesline or other cord across one end of the room and giving him some clothespins to hang his posters with. When all is said and done, you’ll find that all of your plans and negotiations have paid off well. And always remember when your mind tells you to censor his ideas, that his ideas are an important part of the person he is becoming. He needs opportunities to express his own tastes just like he needs a great room of his own to do his dreaming in. Do you want to know more about bedroom design ideas? Better Bedroom Ideas also has information on bedroom window coverings and Moroccan bedroom designs! Not exactly what you had in mind? 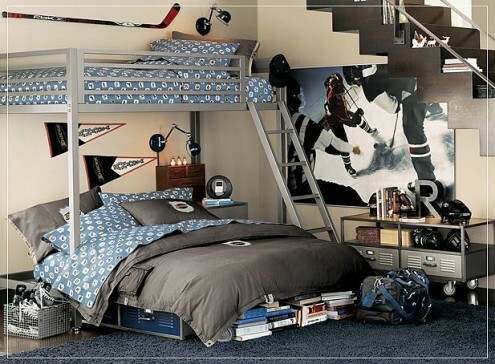 We have tons more inspiration for both boys rooms and girls rooms. Check them out! Also for more regular inspiration from Home Designing, like us on Facebook.